Perhaps you remember the days when most homes had a piano and almost all the children would take piano lessons as part of their well-rounded education. In the evenings, families would provide their own entertainment gathering around the piano to sing as Grandma played the piano or pumped the player piano pedals and the rolls went ‘round and ‘round. Ah, those were the days. People still enjoy gathering around a piano. 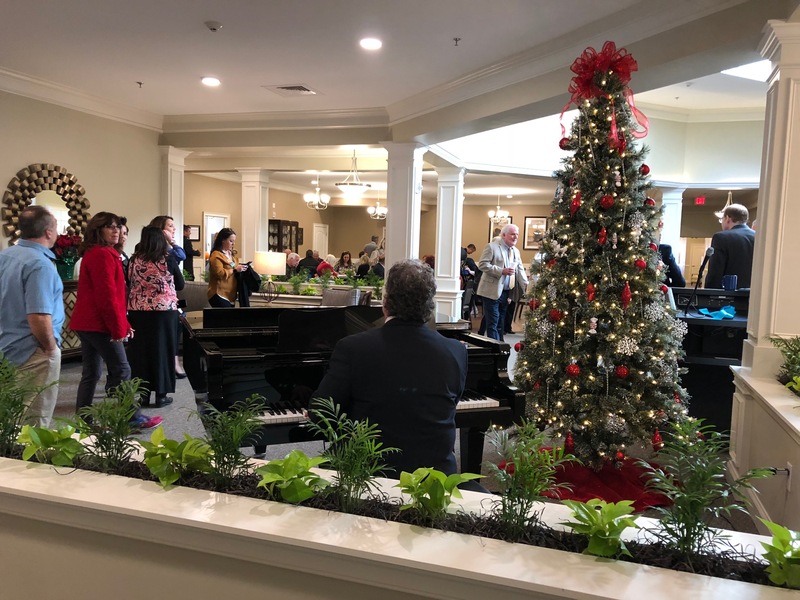 This morning, I had the privilege of attending an Open House for the brand new Lakewood Senior Living Community in Boiling Springs, SC. 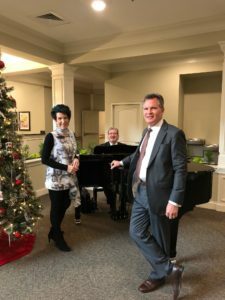 I was invited as a representative of Freeburg Pianos because one of our beautiful G. Steinberg grand pianos has found its home in their well-designed community gathering space. 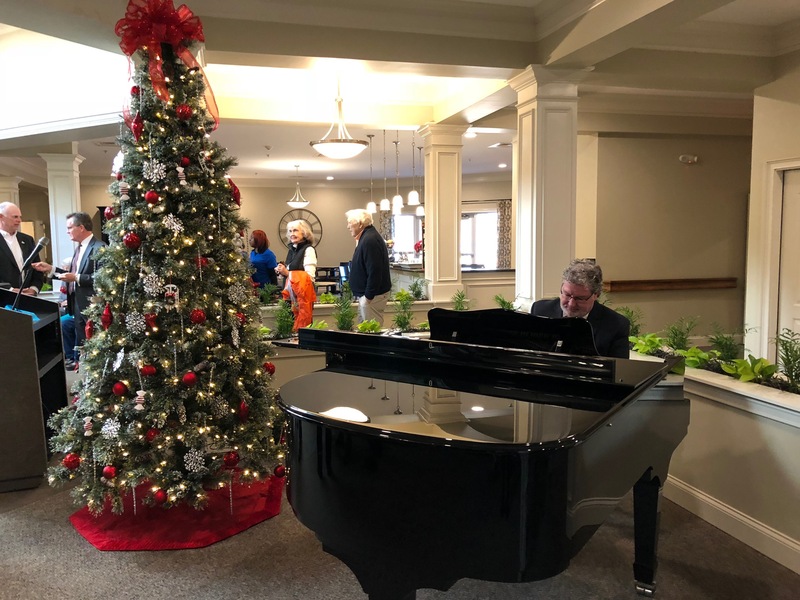 After the opening ceremony, our own Shane Jenkins played music for residents, staff, guests, and corporate representatives to enjoy as they shared congratulations, stories and smiles. As I spoke with the very warm, enthusiastic activities director there, we talked about the joy of having a piano on site. In the days and years to come, residents who have played piano their entire lives will pause to “tickle the ivories,” invited guests will entertain with sing-alongs and concerts of classical, pop and church music and thoughtful piano teachers will bring their students to Lakewood to play their recital pieces and visit with the Grandmas and Grandpas who are oh-so-happy to interact with the children. Yes, there will be many opportunities for music to be enjoyed by everyone.